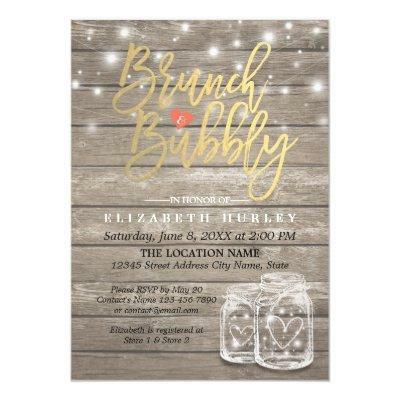 Bridal Shower / Wedding Celebration Invitation Card Templates - Elegant Faux Gold Foil Brunch & Bubbly Lettering Script and Vintage Mason Jar String Lights on Rustic Wood Background. A Perfect Design for your Big Day. All text style, colors, sizes can be modified to fit your needs!